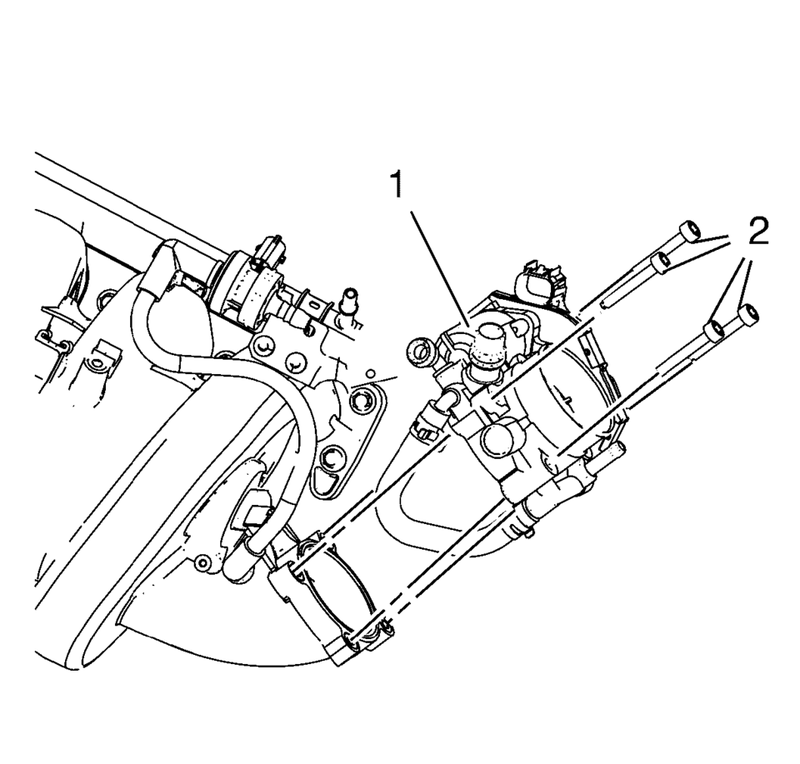 Remove the 4 throttle body bolts (2). Remove the throttle body (1). Remove the throttle body seal.